Select Box happening ’til 6/25, 11:59 PM (PDT). 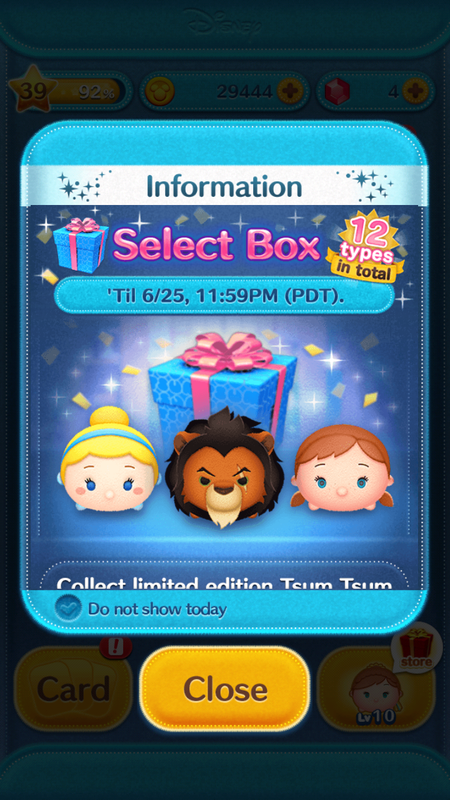 Collect Limited Edition Tsum Tsum in the Select Box! Cinderella: Connect any Tsum Tsum together for a short amount of time! Young Anna: Clears horizontal lines of Tsum Tsum. Steamboat Pete: Clears a vertical line of Tsum Tsum. Mowgli: Clears a horizontal line of Tsum Tsum! Flounder: Swims across the screen and Tsum Tsum are cleared! 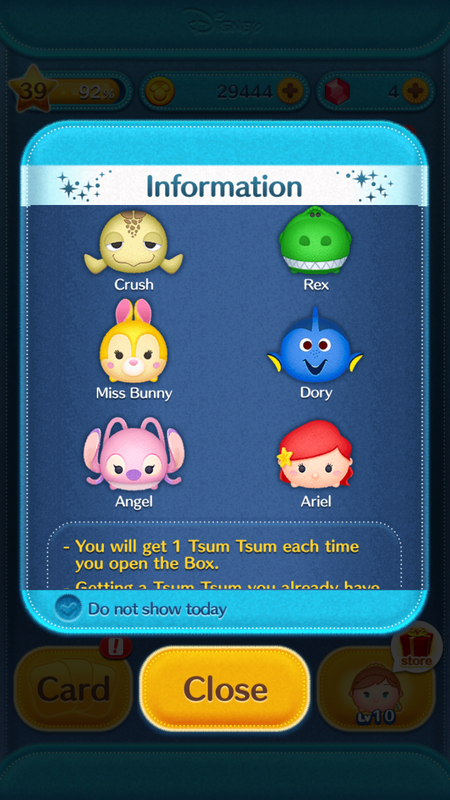 Crush: Crush swims across the screen and Tsum Tsum are cleared! Rex: Clears Tsum Tsum in a few spots! Miss Bunny: Random bubbles appear! Dory: Clears Z line of Tsum Tsum! Angel: Turns Tsum Tsum into heart eyed Stitch Tsum Tsum. Can be cleared with Angel Tsum Tsum. 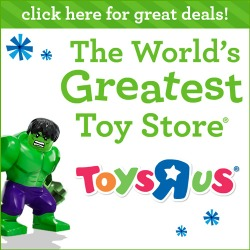 -You will get 1 Tsum Tsum each time you open the Box. Select Box: Round 3 in the Disney Tsum Tsum App! Select Box: Round 3 in the Disney Tsum Tsum App! Select Box now in the Disney Tsum Tsum Japan App! 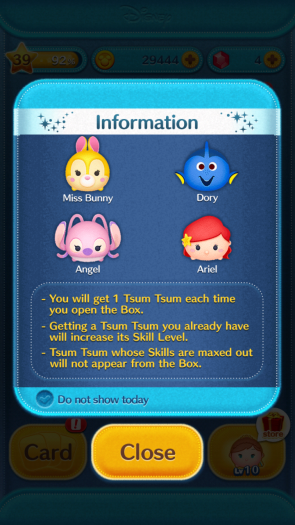 New Tsum Tsum box in the Disney Tsum Tsum Japan App! 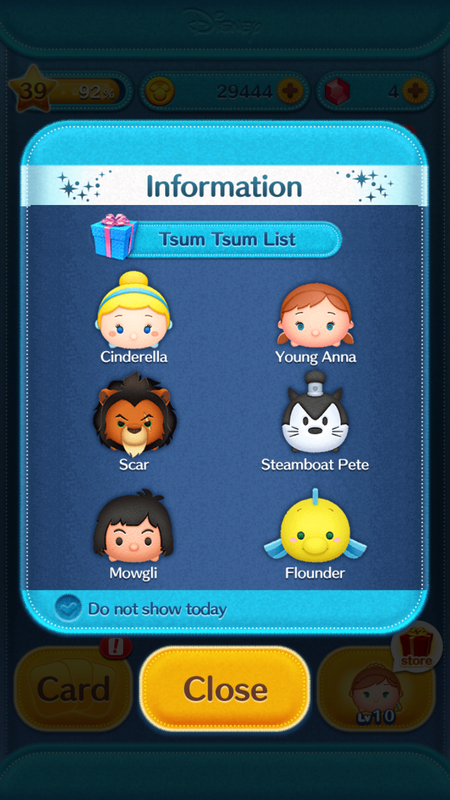 New Select Box Update in the Disney Tsum Tsum App! Select Lucky Time now happening in the Disney Tsum Tsum App!